What we put in our mouths starts with what we put in our shopping cart. 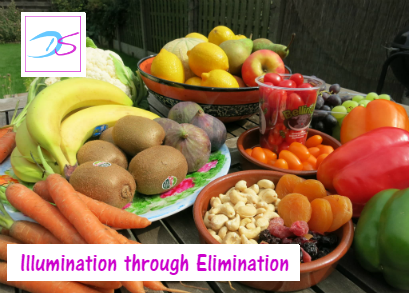 Practical, step by step system to save time, energy and money while being good to your waistline too. Not everything that looks healthy really is healthy! 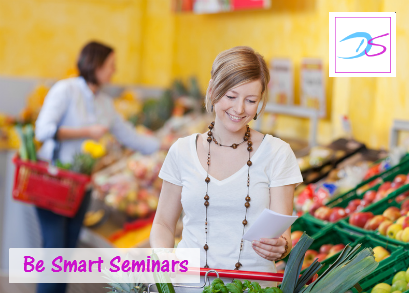 Learn about the marketing tricks of the food industry and make educated decisions on what you eat. What goes on your skin gets absorbed into your body and reaches vital organs in less then 1 minute. Don’t put on your skin what you would not put into your mouth. Nutritional values of our food have declined tremendously over the last 50 years and our fast paced lives and higher stress levels bring about higher nutritional needs at the same time. Learn about what to look for to fill the gap in a healthy way. 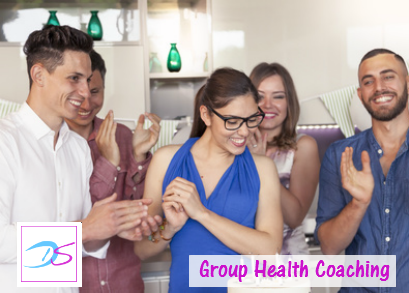 Group Health and Weight Loss Coaching packages are for groups of 5 – 6 participants and are based on the same content covered in 1:1 Weight Loss Coaching (see below). To be able to respond to more personal questions, group coaching packages also contain two 30 min 1:1 Skype consultations. Group sessions will be held Tuesday evenings at 19:30, starting on the first Tuesday of every even month (Feb, Apr, Jun, Aug, Oct, Dec). Location: center of Brussels. If you would like to host a Health Coaching group at your house and participate for free, please contact me. 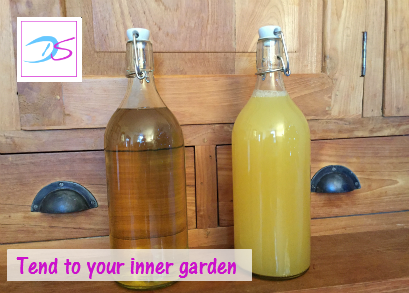 In this session you will learn how to make 2 delicious lacto-fermented drinks, kombucha and water kefir, which keep your good gut bacteria happy, support your immune function and natural detoxification. They also aid in digestion and kombucha is known for it’s energy boosting and joint health promoting properties. Research shows that a healthy gut flora, our microbiome, is an essential part for optimal health. In the session you will learn more about the astonishing world and utmost importance of the good microbes that live in and on our body and how these two easy to make drinks can support your overall health. 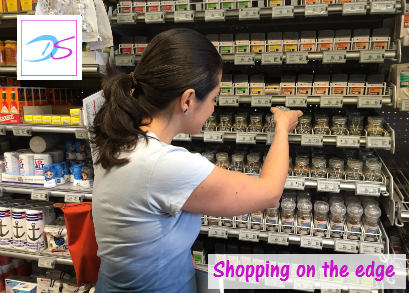 In this shopping on the edge session we’ll take a tour through your local supermarket. You’ll learn what to pay attention to (fruit & vegetables, meat & fish, dairy, eggs, oils, herbs, superfoods, and more), what types of things to fill the bulk of your shopping cart with and where to find them (hint: they are generally located “on the edge” of the supermarket), how to incorporate things you’ve never cooked with into your meal planning and where to put your priorities when you buy on a budget. You can also ask me any questions you might have. In a cooking session, you will learn how to prepare a delicious and healthy meal in a short period of time. At the same time, we’ll prepare part of the meal for the next day and can also build in leftovers to take for lunch. You’ll discover the world of spices to give your food a different flavour in the blink of an eye and depending on your mood. We’ll cover how to best store fresh ingredients as well as leftovers. 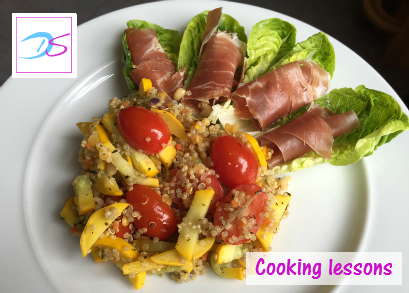 And if you have some picky little eaters, we can also cover parent-child combo ideas which is cooking a parent and a child suitable meal from the same ingredients and with little to no extra time. This can be a private / family session or a group session for max 5 participants and includes enjoying the prepared meal together. Please contact me to discuss details for this session. Session duration and fee can vary depending on what we want to accomplish and whether you would like ingredient shopping included as part of the service.